South Winnipeg-St. Norbert Coun. 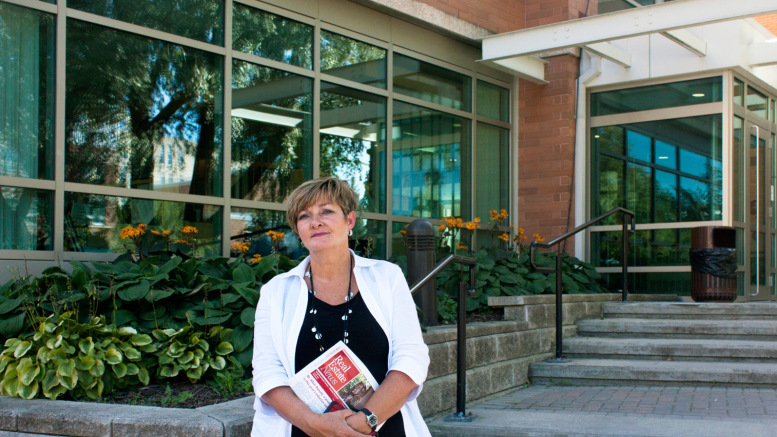 Janice Lukes is setting up a residents’ association to address a growing problem around the University of Manitoba – the proliferation of illegal rooming houses and other unsafe accommodation for students. The first step in the formation of a residents’ association will be a meeting on September 30 at the Pinnacle Club at Investors Group Field, where multiple stakeholders will discuss the problem. “The real goal of this meeting, at a really high level, is to show people that there are a lot of stakeholders, it is a complex issue, it’s not going away overnight, and we have to work together,” Lukes said. Lukes was first elected last year and has spent the better part of 2015 pushing the City of Winnipeg and the U of M for answers on the housing issue. The residential areas that comprise the Fort Garry and Fort Richmond neighbourhoods surrounding the U of M largely fall into the low-density residential zoning category of the Winnipeg Zoning Bylaw. The Zoning Bylaw regulates the use and development of land and buildings in prescribed districts. The low-density residential zoning category includes R1 residential single-family and R2 residential two-family districts. The R2 zoning district allows for two-family and limited multiple-family dwellings subject to strict regulation by the city. However, rooming houses, known as single room occupancy (SRO) accommodation, are not permitted in R1 and R2 zoning districts. Moreover, even in zoning districts where SRO housing is permitted, such housing must meet the standards of the Manitoba Building Code, which are the same as those for hotels and apartment blocks. Due to the regulatory and legal hurdles in place to convert single family units into rental housing, many residents are converting and renting out their properties to students illegally in contravention of the zoning bylaw and the building code. “It is important that students know, when they rent a room, that it is a legally built to code room,” Lukes told the Manitoban, adding that rooms not built to code, such as those in basements without windows, are dangerous for students in case of a fire. According to estimates by the university, there are 1,316 bed spaces available on campus, with 98 per cent occupancy during the academic year. Typically, there is a wait list of nearly 300 names for on-campus housing. Lukes believes that the shortage of on-campus housing, coupled with growth in international student enrolment, is driving demand for cheap rooming houses near the university. “This problem happened over a six-year period, basically, as the international student quota went up,” Lukes said. International student enrolment at the U of M has nearly doubled in five years, from 2,354 students in 2010 to 4,692 students this year. The international student population as of November 1999 was 754 students. International students now make up over 15 per cent of the over 29,000 students at the U of M.
Fisher Wang, founder of the Manitoba Chinese Community Centre and a U of M alumnus, argues that the U of M has been recruiting thousands of international students without providing them with adequate resources, particularly when it comes to finding off-campus housing. “The only solution for this huge amount of students is basically a rooming house,” Wang said. CBC News reported in June that a 2,400-square-foot single-family house converted to 15 bedrooms for rent by international students was still operating on Thatcher Drive despite a 2009 city order instructing the landlord to convert the property back to a single-family dwelling. In addition to violating the city’s zoning bylaw, the property was deemed to be unsafe based on the Manitoba Building Code. The University of Manitoba Students’ Union (UMSU) vice-president external Astitwa Thapa has been working with Lukes to bring more attention to illegal rooming houses. Among the issues that have been brought to the attention of the university is the need for a bylaw guide for students and a better screening process for the U of M’s new online, off-campus housing listings. “There are a lot of international students who sign contracts with someone from Kijiji before they even come here and they’re living in basements, right? So the conditions are horrible, the conditions are absolutely disgusting,” Thapa said. John Danakas, executive director of public affairs at the U of M, told the Manitoban that “the university rejects all listings that appear to be rooming houses” on its off-campus housing website. “We care about the international students who choose to study here and pay a great deal of attention to making their experience here as positive as possible,” Danakas said in an email. The issue of illegal rooming houses has increasingly enlivened Fort Richmond residents who consider them to be an inherently unsafe housing option for vulnerable students as well as a nuisance. Among the resident complaints gathered in a 35-page report for Coun. Lukes were concerns about noise, absentee landlords, and declining property values as a result of the rooming houses. Robert Galston, a U of M city planning graduate student and researcher for the University of Winnipeg’s Institute of Urban Studies, argues that the safety issue may be a euphemism for “not in my back yard” thinking on the part of local residents. “Long-time residents don’t want to see the neighbourhood change into new apartments or more dense development,” Galston said. Galston told the Manitoban that the demand for rental housing around the university is driven by a number of overlapping factors. First, the general lack of affordable housing in the city as a whole. Second, deficient public transit service for those who may live in a neighbourhood away from the U of M. Third, the lack of on-campus housing at the university. And fourth, a zoning bylaw that is not meeting the demand for low-cost housing in proximity to the campus. Galston added that safety is paramount but that flexibility is needed to meet the demand for low-cost housing. “Right now, there is not a lot of flexibility or a lot of middle ground between zoning that dictates single-family housing and zoning that allows for larger apartment buildings, conventional apartment towers, and complexes and things like that,” Galston said.